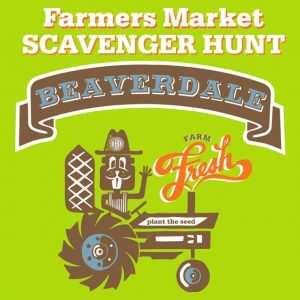 Hey kids, have fun and find stuff in a scavenger hunt at the farmers market! Stop by the market information tent on Tuesday, July 5 and pick up a scavenger hunt sheet. It’s yours to keep as you locate all the different things at the market. The information tent is on the west end of the market, near the play area and Pop Pop’s Kettle Korn.